Craving a romantic getaway? Champagne Chalet offers a sophisticated setting for lovebirds looking for a little escape. 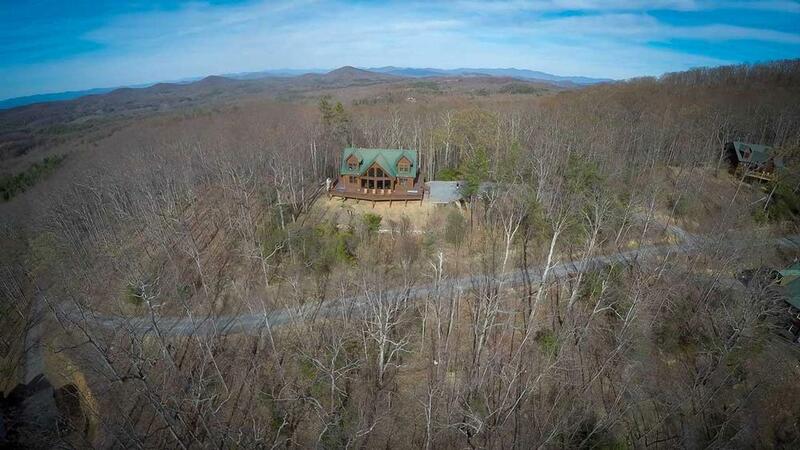 In fact, as spacious as it is, this luxurious home was designed as a couple's retreat with romance in mind — it's even been the setting for several marriage proposals! 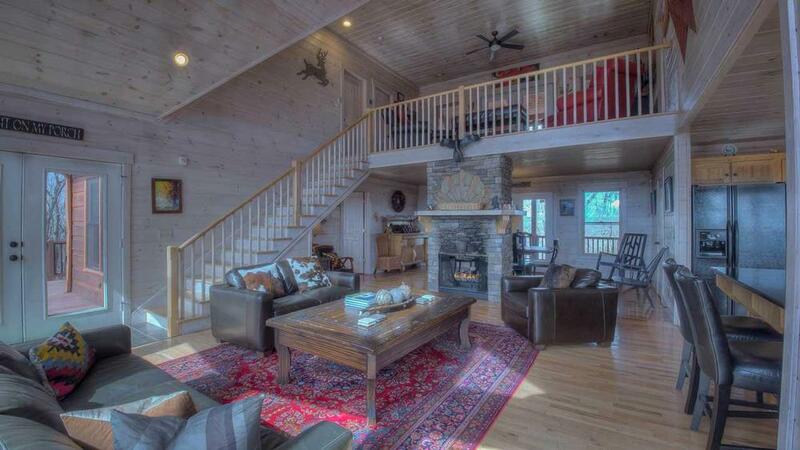 You'll feel like you have the entire mountain to yourselves in this private and rustic setting. 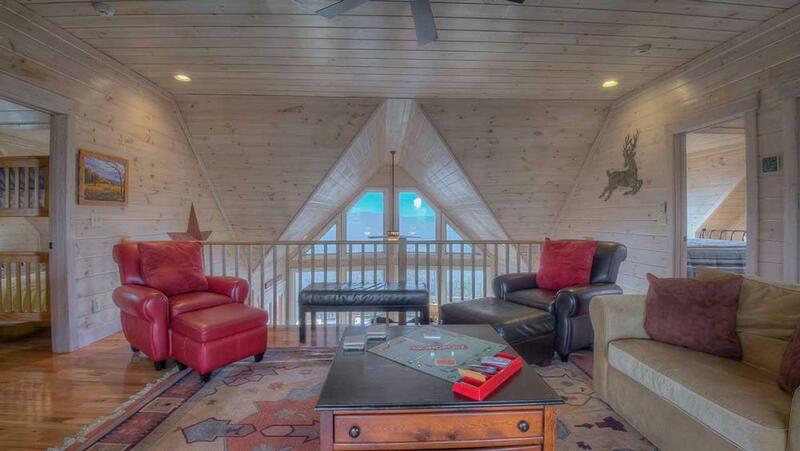 Its large, prow front design gives it a ski chalet feel, and you'll marvel at the attention to detail in this striking cabin, from its custom home floor plan to the whitewash walls for a lighter look, and its sophisticated, eclectic decor with a mix of lodge and wildlife themes throughout. 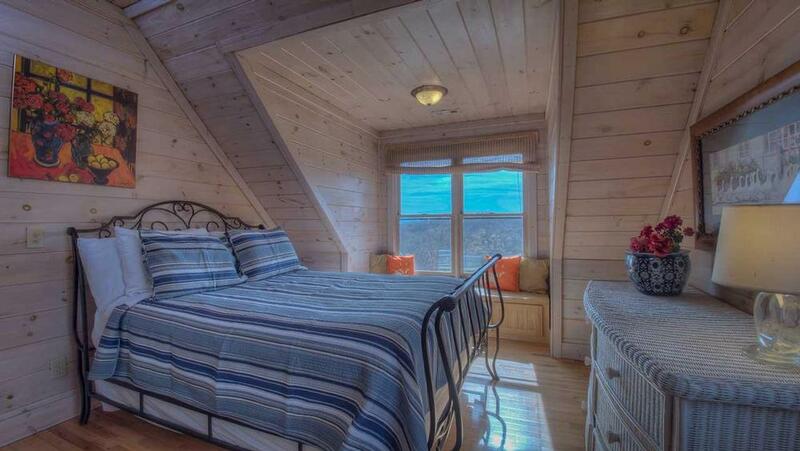 At Champagne Chalet, there's never a shortage of ways to enjoy the majestic mountain beauty outside your door. 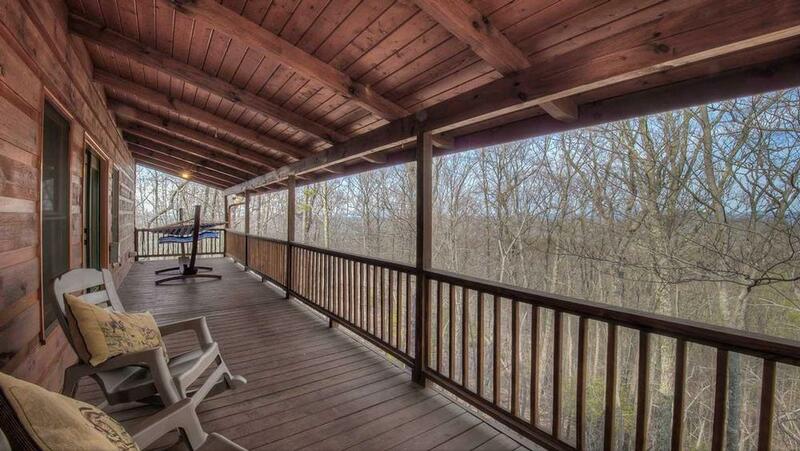 Listen to the birds chirping happily as you lounge outside on the wraparound deck. Or perhaps take a scenic drive to see the fall foliage, followed by mugs of hot cider in front of the walk-around fireplace. 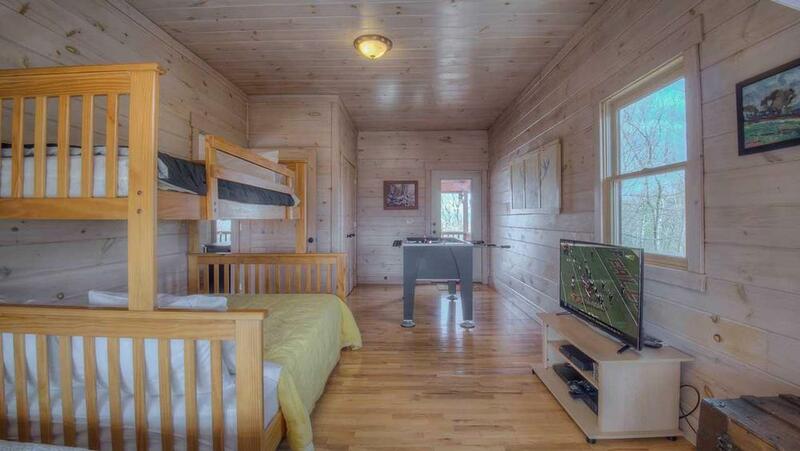 If you've brought the kids along, there's plenty of fun for the whole family here — including a bedroom with foosball and bunk beds. They'll feel like it's their own mini-lodge. Start the day with a refreshing hike through the lush, rolling hills. Saddle up for a horseback ride or perhaps explore the nearby waterfalls. In the evening, cook dinner together on the gas grill and relax on the large deck's Adirondack chairs afterward with a cold drink. If you're looking forward to a little adult time, sample the local vintages with a wine tasting tour. Or, indulge in couples' massages at a spa in town, then enjoy a romantic evening under the stars, toasting each other with some bubbly while soaking in the recessed hot tub, which faces the crackling fire in the gorgeous stone fireplace. 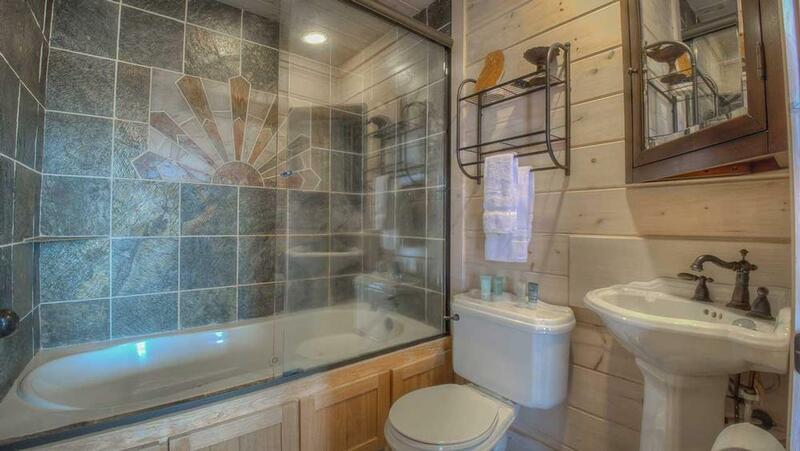 If weather calls for a move indoors, draw a bubble bath in the master bathroom's Jacuzzi tub. 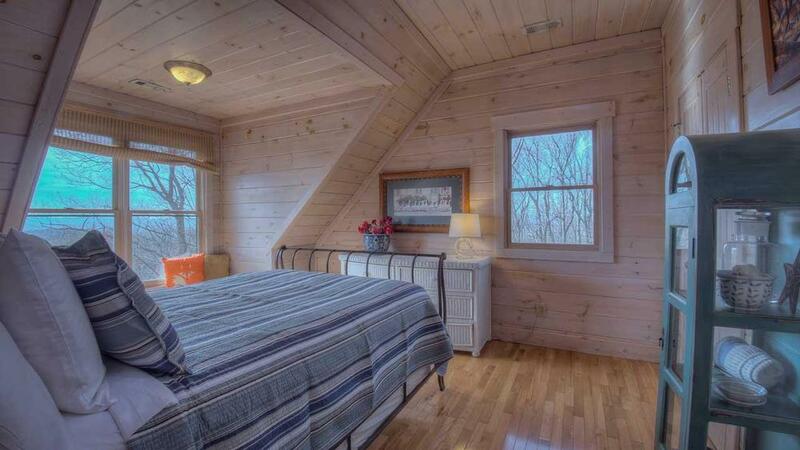 Curl up together in the master bedroom's canopy bed on the main floor, while falling asleep to some soothing music. 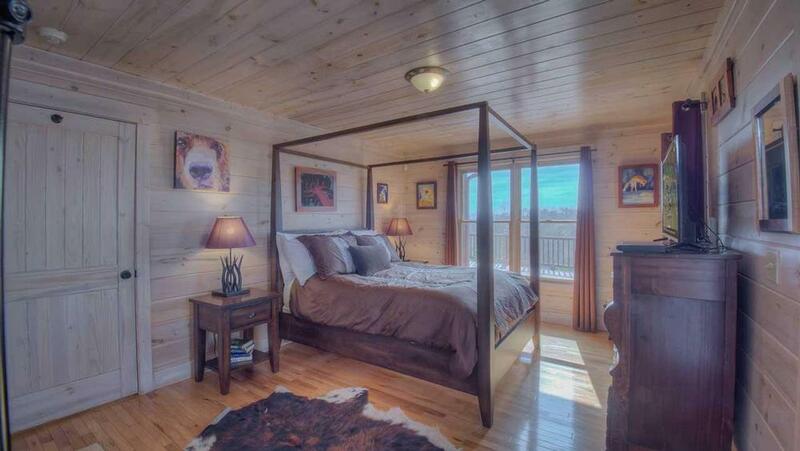 Champagne Chalet has every luxury you desire to create an idyllic, romantic vacation. A stay at this elegant and enchanting love nest is sure to keep the home fires burning. 02/19 - The location and view were beautiful. Amenities were fantastic. Very comfortable and the furnishings were all high end. I really appreciated the service we got when we booked the trip and the details of the goody bag at the home. The overall experience was fantastic and we highly recommend this company. We will be booking again in the future. 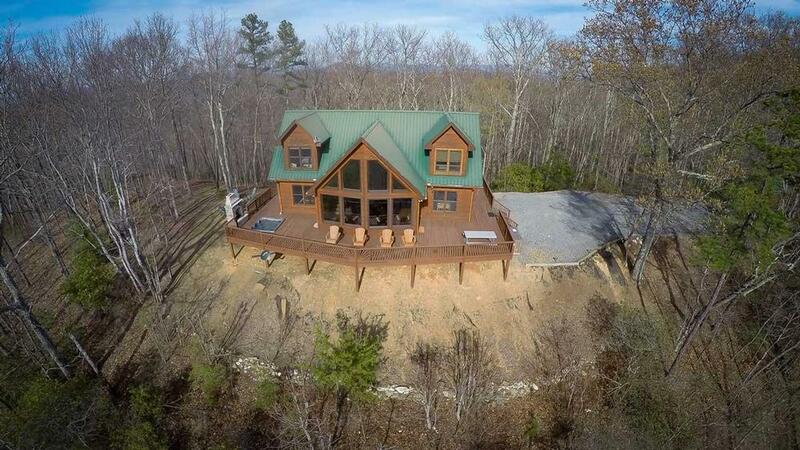 01/19 - This home was amazing!! There was so much to do, it was very spacious and clean. They had every cooking utensil we could have ever needed. Fantastic company!! Everyone was pleasant to work with from the very beginning. The home was great and everything was made very easy for us. 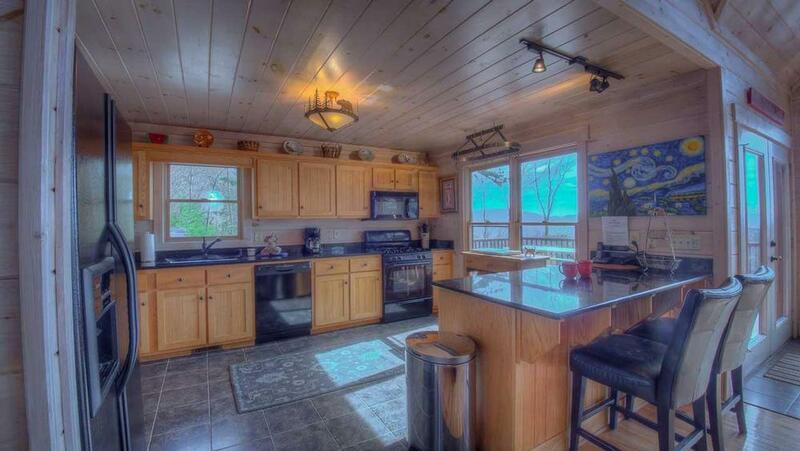 08/18 - Large kitchen alongside the breakfast bar and living room, great for entertaining. Hot tub with fireplace and fire pit also enjoyable. Your company is very professional and responded to all our questions and needs without hesitation. 3/18 - We just wanted to let you know how much we enjoyed our recent stay. 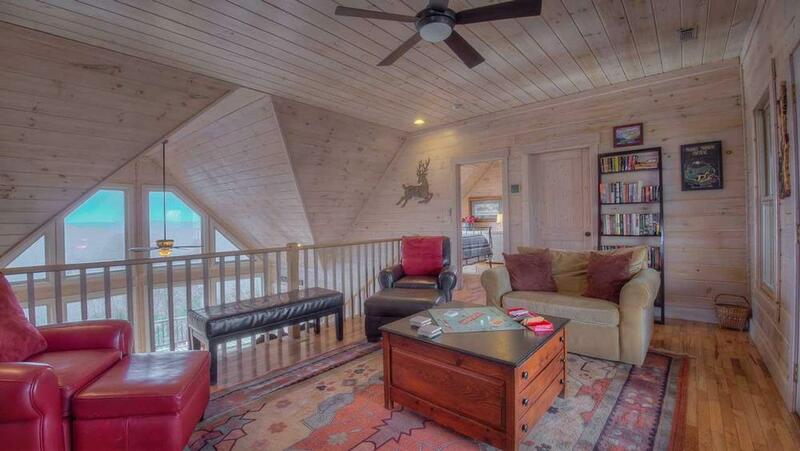 The cabin was beautifully decorated and maintained. We were so impressed by how clean everything was. Not a speck of dust or a cobweb anywhere! 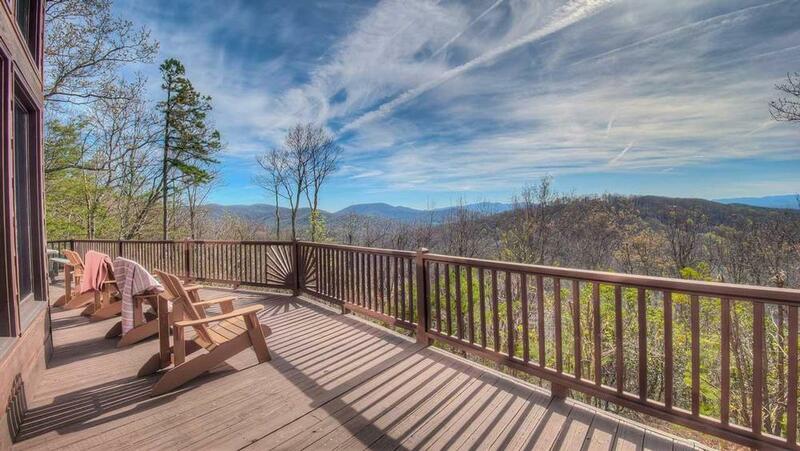 The sunset mountain views are amazing from the deck. Took a lot of beautiful photos. We will certainly visit again for our family vacations. Highly recommended to my friends! !..During the whole process from check in to check out, everything was perfect. 09/17- It is such a peaceful escape; far away from the every day grind but so thoughtfully and comfortably equipped and close to many amenities. Professional and friendly staff. 07/17- Our favorite features of the home are the large pane windows and deck. 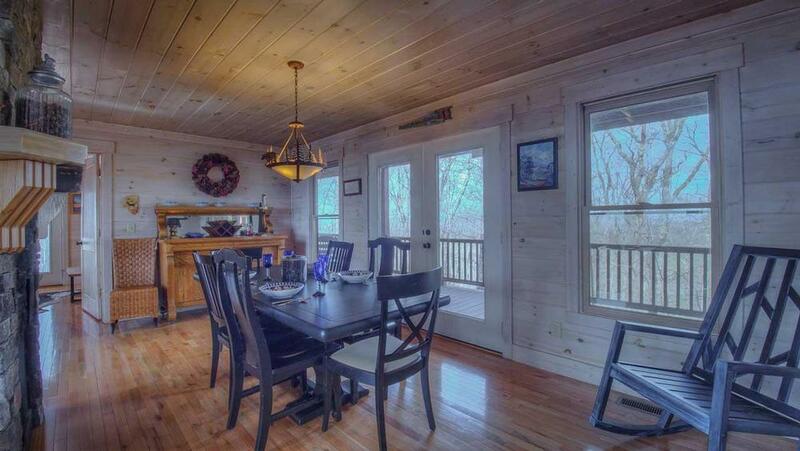 The cabin is very nice and has everything that you might need. It is pretty much secluded from any neighbors. Great company, nice and easy booking. Everything you need is sent to you through email. Overall great company and experience. 07/17- The entire home was excellent. It was very nice to have the gas grill and the hot tub to enjoy while making dinner. Wonderful people to talk to, very helpful..all around great company and great place to stay! 06/17- Good size, nice layout, enjoyed the fire pit. All staff were friendly and helpful. 05/17- Extremely private and quiet. The home had most of the kitchen things you'd need for a few days stay. The hot tub and fire pit were our favorite! Love how simple the process is for making a reservation. 05/17- The view was spectacular! We have used this company many times. We wouldn't use anyone else! 03/17- The view was incredible!! If we had more people in our party, the rooms would have been perfect for everyone to share and enjoy. 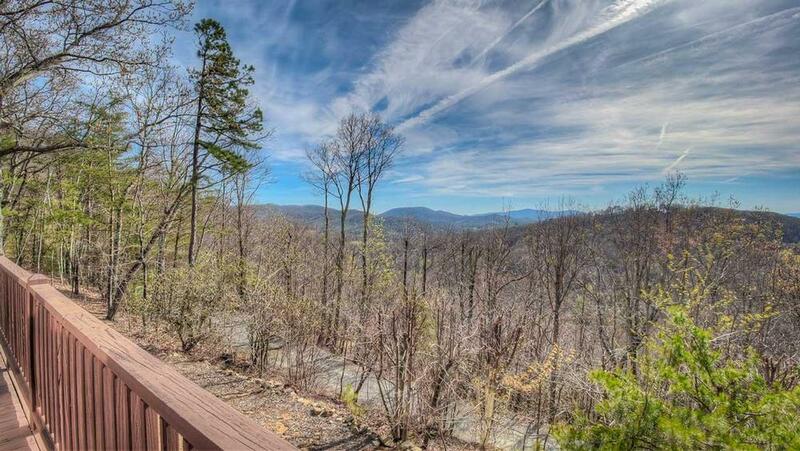 03/17- Breathtaking views, open floor plan, spectacular deck and patio. 03/17- We loved the ability to relax with an amazing view. Very pleased. 02/17- The cabin was very clean. I felt at home. Everything was in good working order and as described. The cleanliness of the cabin exceeded my expectations. Kathy in reservations was pleasant and helpful. She went over and above to make sure that I got what I requested. 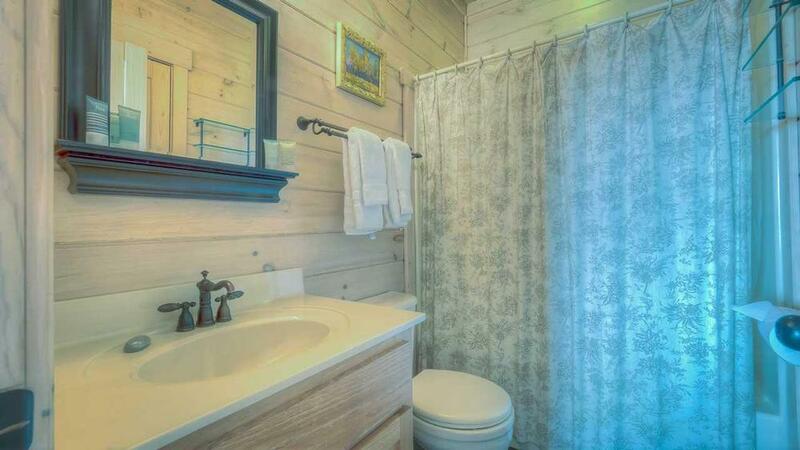 Kathy's service and the cleanliness of the cabin have made me make this company my first choice for cabins and I will definitely refer to my friends and family. Excellent customer service. Excellent maintenance of the cabins. A positive experience. 02/17- The view and overall decor of this cabin were beyond expectations! This company is one of the best rental agencies I've worked with. Very quick, easy, and pleasant in all ways. 01/17- We loved the view and the seclusion. The cabin was peaceful and very comfortable. Very professional and helpful staff. We look forward to returning! 01/17- Excellent view. The cabin was well equipped with cooking and dining ware. The water was excellent. The cabin layout and amenities were fantastic. We had a great time. We will probably be contacting you again in a few years. May try another season. I think it would be beautiful in the Fall. 11/16- We loved the view, the hot tub and the sitting areas. Always a good experience. 11/16- Our favorite feature of the home was the fire place outside. We had a very good experience. 10/16- Honesty this is the very first time that we have been disappointed in the home we chose. We have used EBR everytime we come to blue ridge and love the company. We had several what my husband calls stink bugs all in the living room, they were on the windows where the rotten wood is mostly. Also, The beds were so uncomfortable and that was very disappointing because at the other cabins they have always been so comfortable. 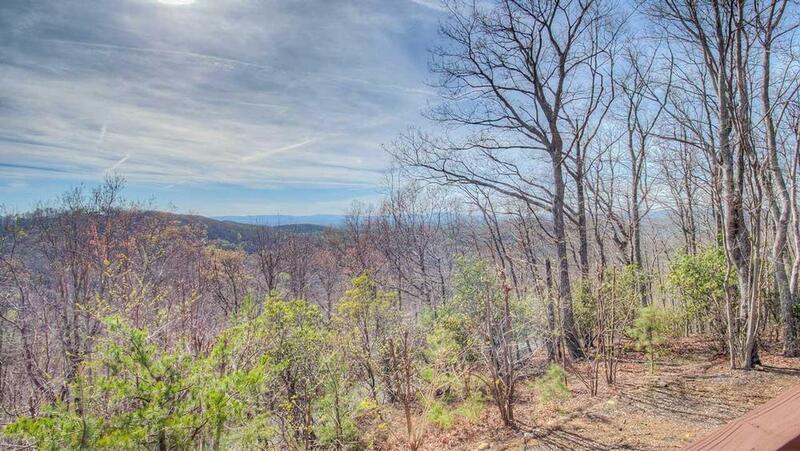 10/16- Gorgeous view, very spacious, remote/private, and loved the sunken hot tub. I absolutely love this rental company and will continue to vacation with you for years to come. 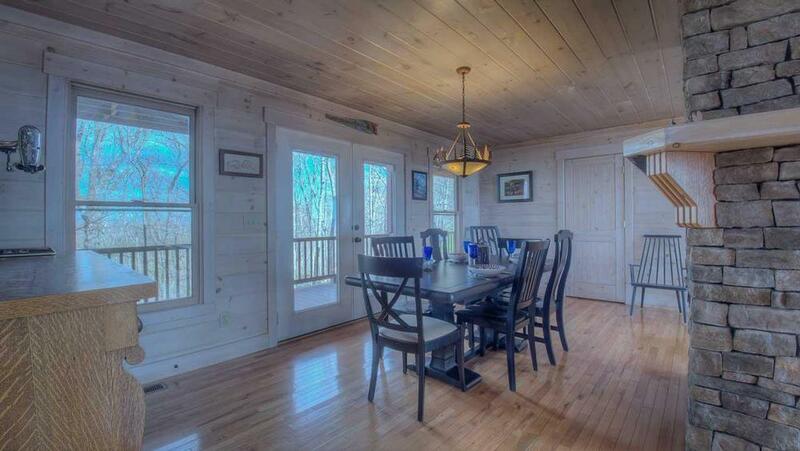 The cabins are always pristine and the locations are spectacular. 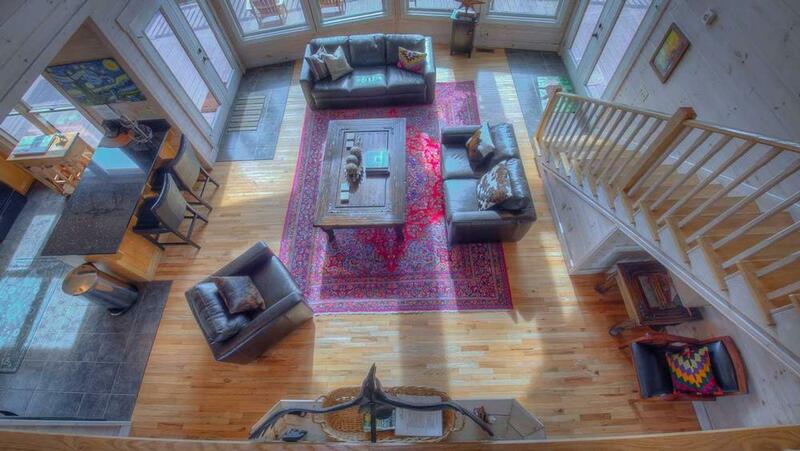 09/16- Our favorite features of this home were the views, the cleanliness and the amenities. 07/16- The view was incredible! The lay out of the house was perfect. We loved the outside fireplace and hot tub. The grill was great. It was just my husband I but if we had our family this would have worked out well. 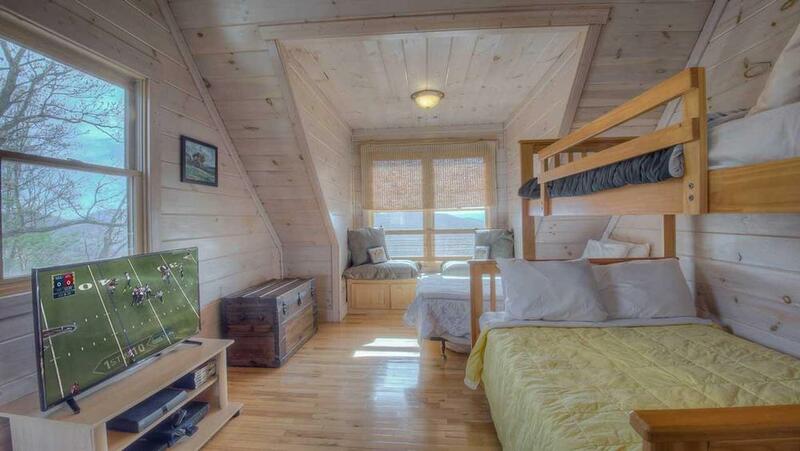 If we had used the bedroom upstairs we would have wanted a TV in the one bedroom that has none. Very professional, very customer service oriented! We loved walking into the cabin to the sound of music. We've never thought to leave a tip for a cleaning crew with any other cabin rental, but the extra touches were so thoughtful and the small cooler such a treat! 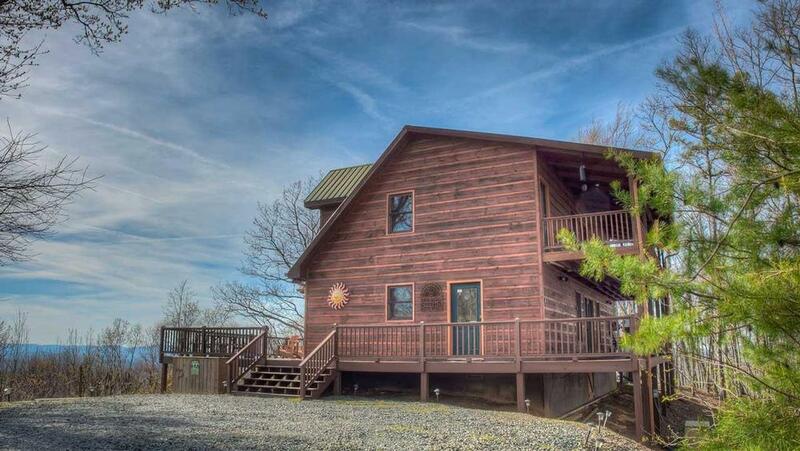 04/16- I enjoyed spending time with my family in the cabins and the privacy you have in each cabin. 02/16- The location was beautiful, hot tub worked, and it was comfortable. The decor, especially the white washing on the walls, was really nice. Everything was super easy, loved the welcome package and the emails upon arrival and departure. 02/16- I came with my family,husband, daughter 10 and son 7 with my daughters 2 friends. 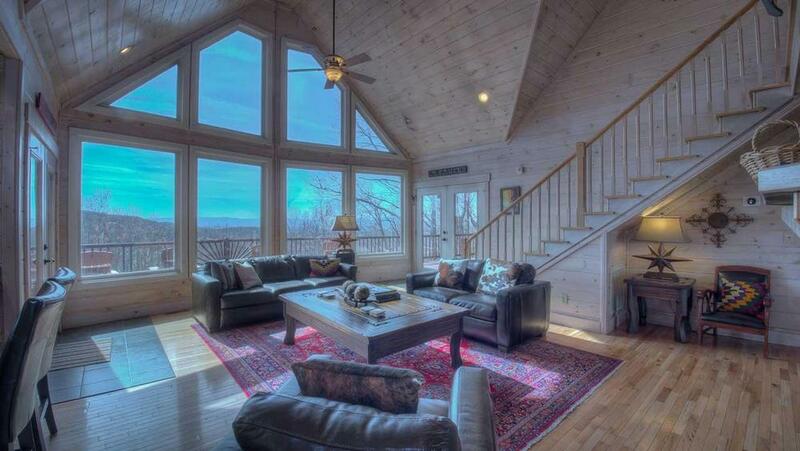 The cabin is beautiful,the views are amazing from the porch inside is beautiful. There was more than enough room for all of us not to feel cramped. Now down to the negatives this is because I came with kids. If it was just my husband and I then the negatives wouldn\'t as important. 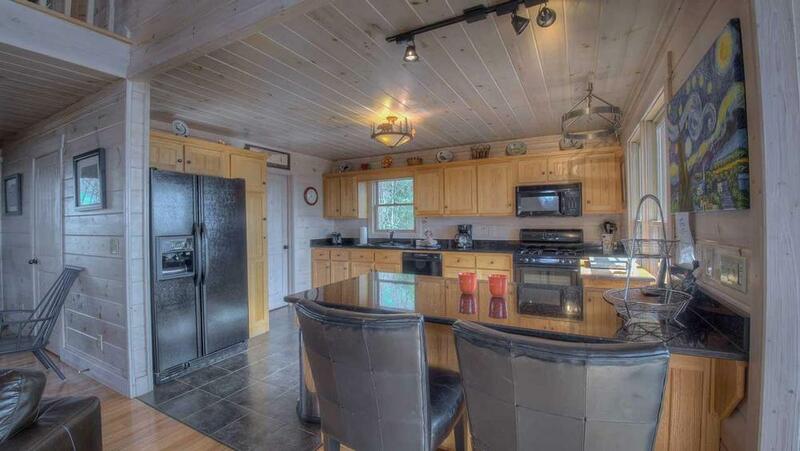 The stove is tucked in the corner by the window. The lighting isn\'t very good so it makes it hard to see if what you are cooking is done. The microwave light underneath didn\'t work. I don\'t know if that light would help. Then when the sun is out you are blinded by the sun, because there is no blinds on the window. The TV\'s wouldn\'t work half the time or wouldn\'t function right. The beds were uncomfortable even the kids complained about them. The master bathroom the shower and bath was really nice. The just had a pedestal sink so you had no where to put your stuff. Which wasn\'t a deal breaker just annoying. It was extremely cold outside so I couldn\'t go outside to read which is fine. When I wanted to sit in the living room, read and drink coffee there was no where to put my coffee. For me it wasn\'t practical. If I sat at the kitchen table most the views are blocked by the fireplace. I realize some of the things maybe minor but to others it could be huge. The kitchen was huge for me since I was cooking. 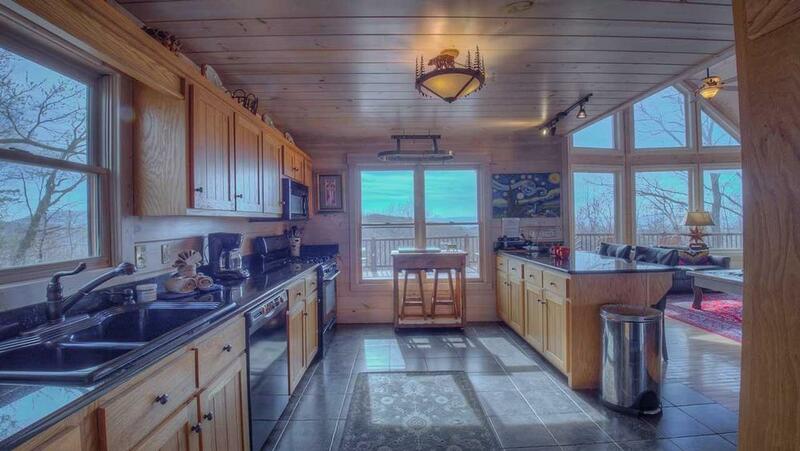 02/16- One of the best attributes about this cabin was the deck and hot tub with the wonderful views. Spent a lot of time on the deck with my family. 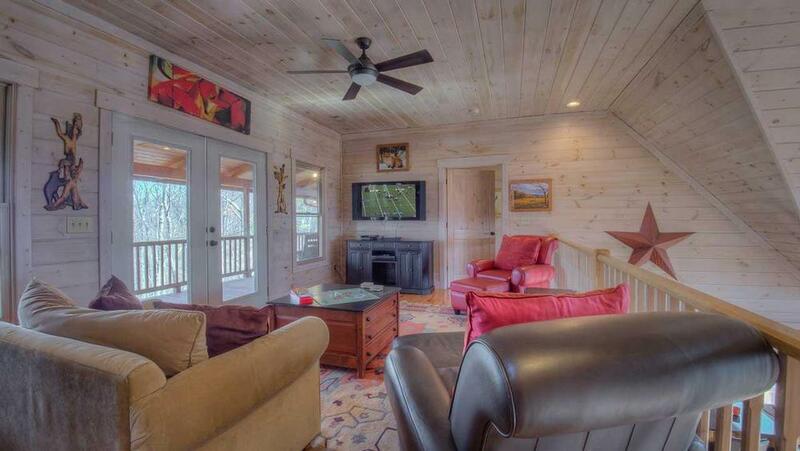 Very pleased with your company and am already looking at more of your cabins and homes to make a return trip. 01/16- The view is great! The best we have seen so far. 11/15- The fire pits and hot tube were wonderful. Along with the view the house had. 10/15- I loved the privacy and the quiet. It was at the top of the mountain and secluded enough to not have to worry about other people in the neighborhood. The company was very professional and polite and answered all of my questions promptly. 06/15- The views, the cabin was nice, the hot tub on the deck with fireplace. 06/15- It was homey and had a fantastic view! 03/15- It was very quiet, and the Vista was nice. I think the company understands the customer and does a good job making them feel comfortable. Thanks again for a nice vacation. 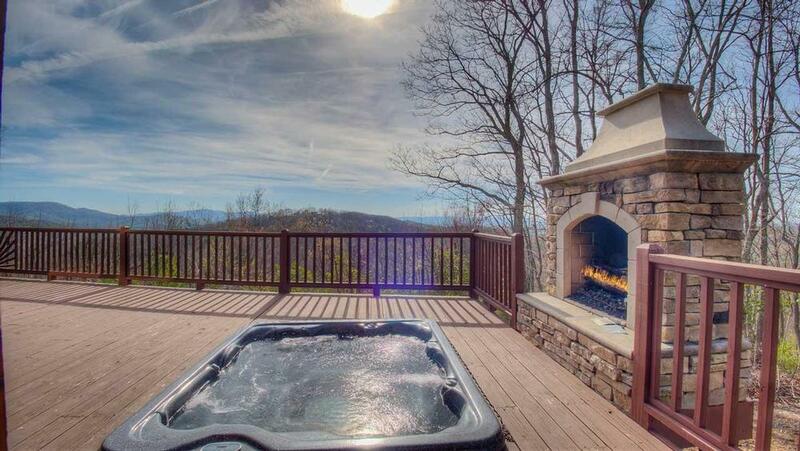 03/15- Hot tub, indoor/outdoor fireplace Magnificent mountain views were all great! 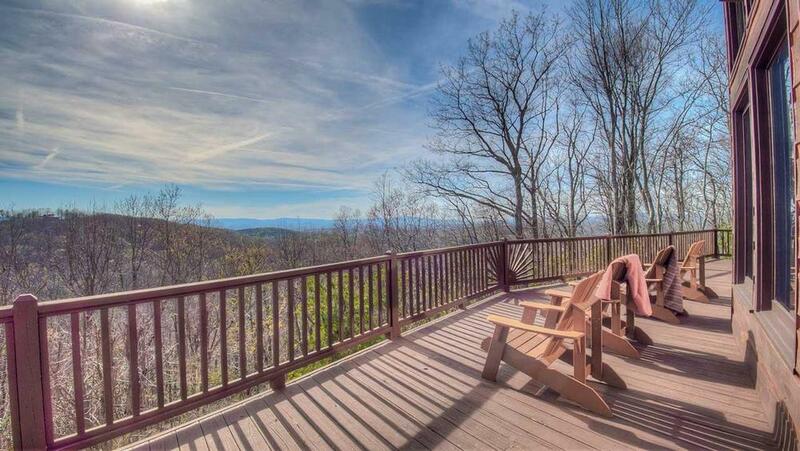 02/15- Loved the view, master bath, deck fireplace. Very professional company and great website! 02/15- We loved the fireplaces and the views from the living room. Wonderful vacation in a beautiful house and a great town. 02/15- The hot tub and outdoor fireplace were our favorite features. The sunset was totally awesome too! 01/15- Loved the decor! Great pieces. Also loved the fact that there wasn't a tv in the main gathering area. Gave us more time as a family. Great DVDs collection! 11/14- Seclusion, mountain view, jacuzzi were our favorite features. 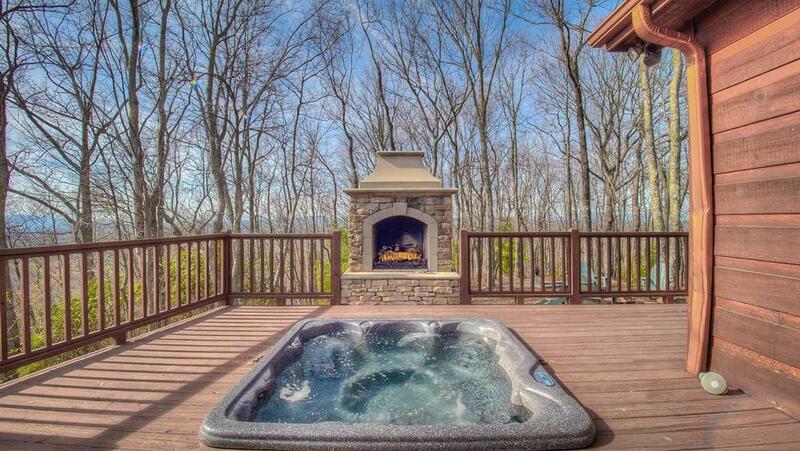 11/14- View, outdoor fireplace / hot tub. 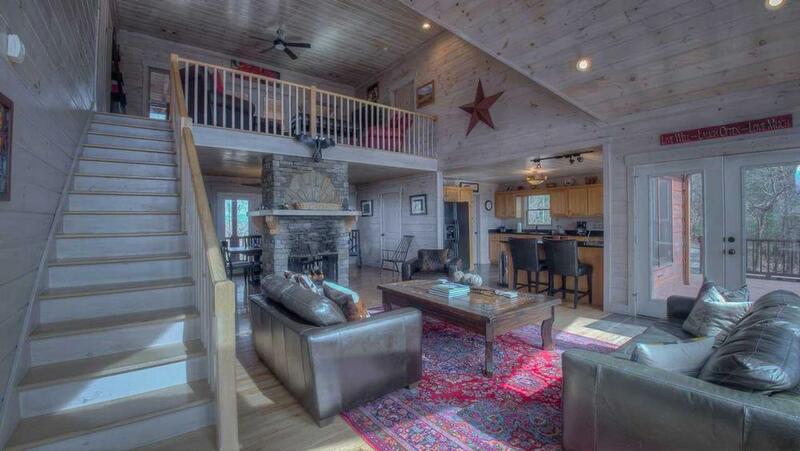 Great cabin, great area, beautiful.....no complaints, will be back. 10/14- The view! It was beautiful. We also enjoyed the fire place and having satellite TV. 08/14- Loved the view, open floor plan, cleanliness! 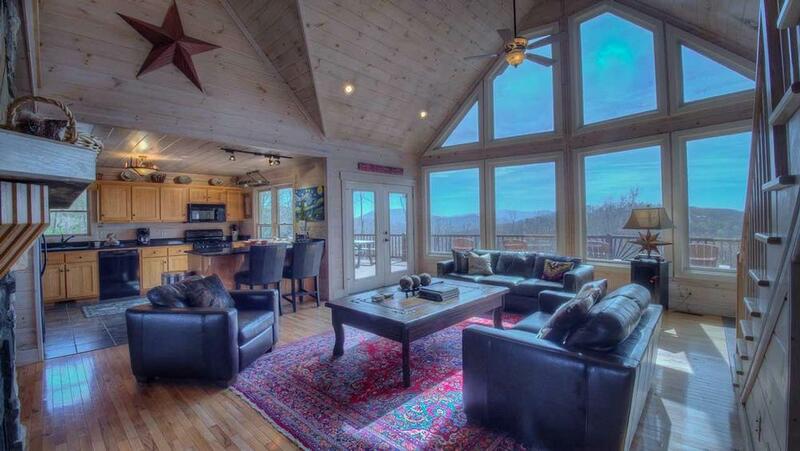 07/14- Loved the open layout of the kitchen/living area, wrap around porch and wonderful mountain views. 07/14- We have stayed in a number of cabins in the mountains of Georgia, North Carolina and Tennessee. This one by far has the best view. The sunset was amazing. The sunken hot tub and outdoor fireplace were awesome. 7/18/14 Very nice. Had a great time. The people in charge were very nice and took very good care off. I will return. 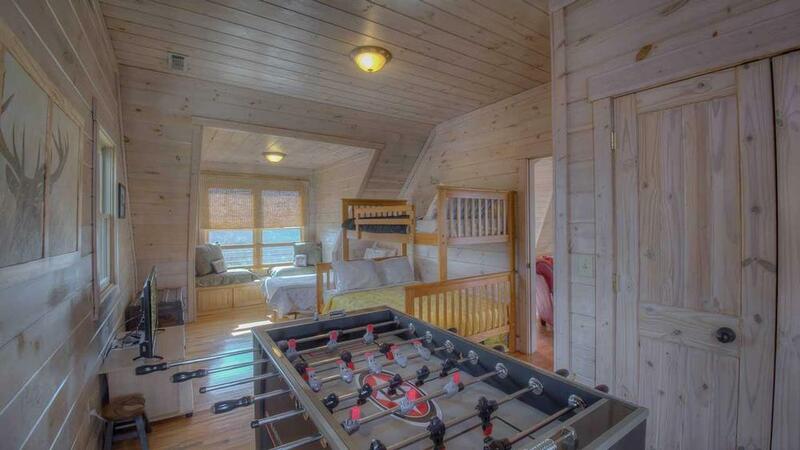 We have rented a few cabins in the last couple years and this was our favorite! Very nice, beautiful views, and great seat for the fireworks on the Fourth of July! Would love to come back some day! Awesome service! Booking was easy and friendly, directions and confirmations were sent promptly, and the help number was great when we arrived and could not find hot tub key. Thanks so much! Thanks! 1. 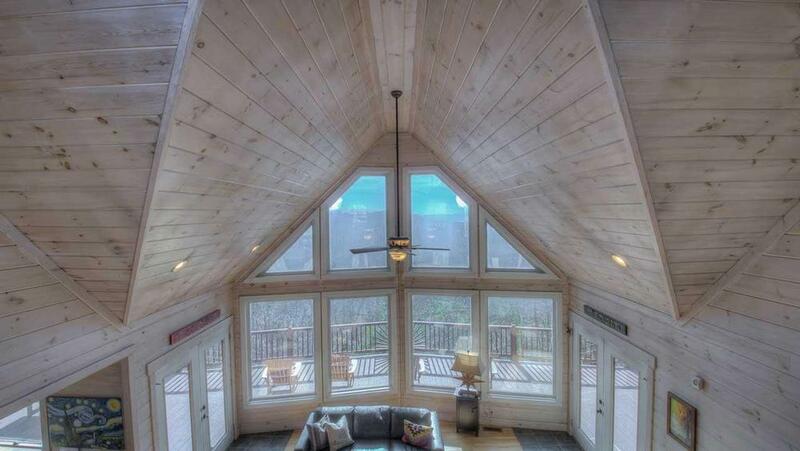 How would you rate your overall impressions of this vacation home? 2. How would you rate your overall experience with your interactions with our staff? 3. 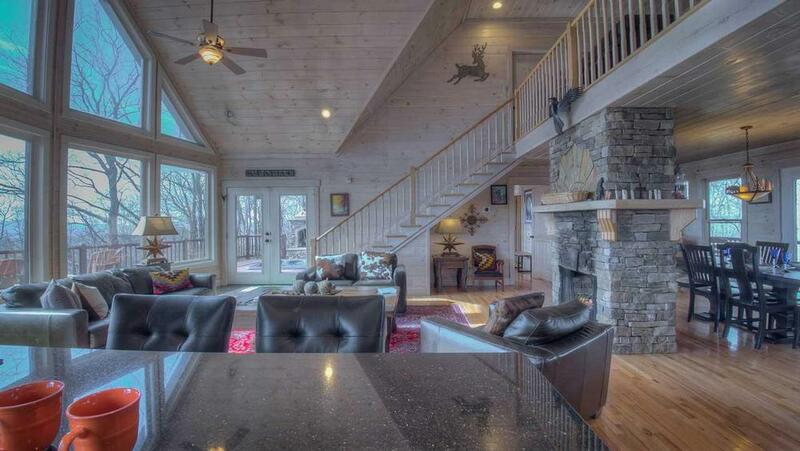 How would you rank the overall cleanliness of this home? 4. 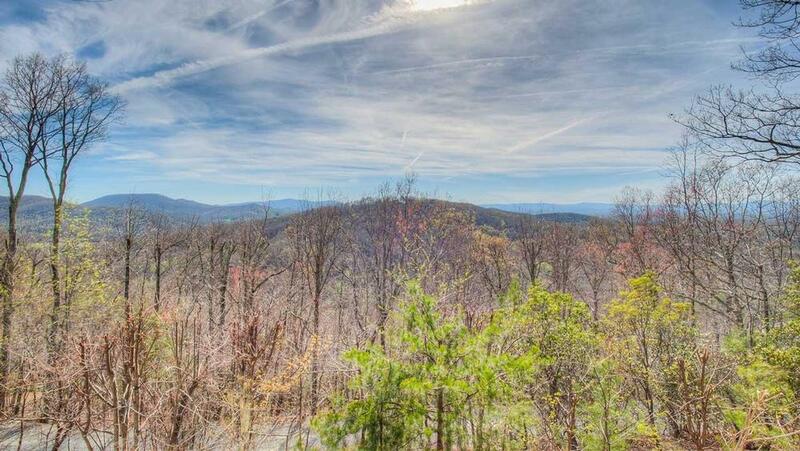 How likely are you to recommend Escape to Blue Ridge to friends or colleagues? 5. Please tell us in your own words, the attribute you enjoyed most about this home. 6. Please share with us, any items you feel are in need of attention. 7. Please tell us in your words, your impressions of our company. The Guest Services Fee includes: Accidental Damage Protection Coverage - up to $500.00 for unintentional damage to the cabin. (See item #6 on Guest Rental Agreement. ), Reservation and Credit Card Processing, After-Hours Emergency Service, Free Lock-Out Visit, Concierge Services.The $23.00/day non-refundable Guest Service Fee is required for all reservations. This fee is capped at a maximum 7 day rate of $161.00.